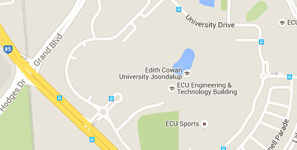 If you’re looking to develop your professional skills and knowledge, ECU is the obvious choice. ECU was ranked top public university for 'Business and Management' in Quality of Educational experience, Teaching Quality, Skill Development, and Student Support. Business and Law courses are developed in consultation with industry groups and combine the latest theory with hands-on, practical experiences. We offer programs in Management, Law, Leadership, Strategy, Innovation and Entrepreneurship, Project Management, Finance, Accounting and International Business.